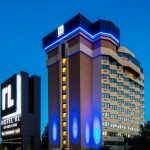 WALPA is heading to Spokane this fall! 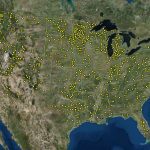 Calling all lake associations: Put your group on the map! 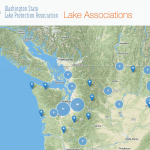 WALPA is excited to announce that our new interactive lake association web mapping has gone live! We invite your lake group to add your information. 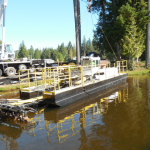 WALPA developed this new tool to improve communication and coordination among lake groups across the state of Washington and including our neighbors in Idaho. Recently the U.S. Environmental Protection Agency (EPA) released the results of the 2012 National Lakes Assessment. Begun in 2007 and occurring on a five-year cycle, the assessments are intended to help citizens and governments measure the health of our waters, act to prevent pollution, and evaluate the effectiveness of protection and restoration efforts. The surveys are designed to estimate the percentage of lakes that are in good, fair, or poor condition by examining a large suite of ecological, water quality, and recreational condition indicators. Lake Limerick is a small (129 acres) reservoir built in 1966 primarily as a new recreational lake for those who wanted to escape the hustle and bustle of Seattle. Initial property investors were a diverse group, some of whom still live in the same homes today. Today, homeowners are a combination of retirees, working age and weekend residents, who enjoy a beautiful recreational resource and a private golf and country club that welcomes public visitors. Lake Union’s central location in Seattle, its photogenic framing of downtown, and its calm waters make it the ideal setting for Fourth of July fireworks and a hub for kayakers and paddle boarders. 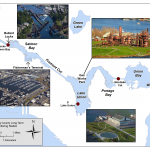 Lake Union serves as a migration route for salmon swimming to their spawning grounds in the Lake Washington/Cedar/Sammamish Watershed. The fish ladder viewing window at the Ballard (Chittenden) Locks is one of Seattle’s must-see attractions. 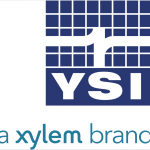 YSI, a Xylem brand, understands the challenges of working in natural environments around the world, such as the lakes, reservoirs, rivers, streams, and shoreline of Washington. We have a strong focus on finding local solutions for the world’s most difficult water quality challenges.